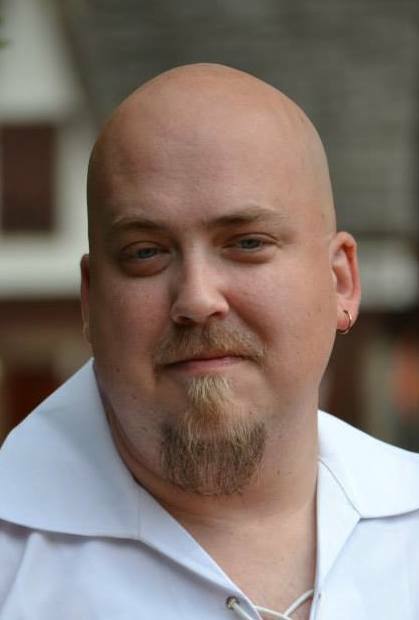 As a wanna be published writer my friends know that I write and sometimes even ask me about the writing process. In many books, blogs, and interviews I've read about other Authors I often see the same question popping up, specifically "Where do you get your inspiration from?" or some variation thereof. The answers all vary with the most common being, "I don't know." That's true actually, most of us have no idea where our ideas come from, a lot of us probably don't want to know. Obviously for any aspiring writer this answer doesn't help much. So I figured I'd answer this question, somewhat, before anyone actually cares. So here goes. First and foremost, I want to be upfront about something. In some ways this is going to be a "Come Visit Kansas" article. I'm not a tour guide, and truth be told I'd rather be living down south again because I'm not a fan of cold weather. Snow just isn't my thing. The snow aside though Kansas has some beautiful scenery, interesting history, and great small towns that you really should see. In fact, if you were asking me about visiting Kansas I would suggest that you fly into MCI in Kansas City... Missouri... don't ask, and rent a car. 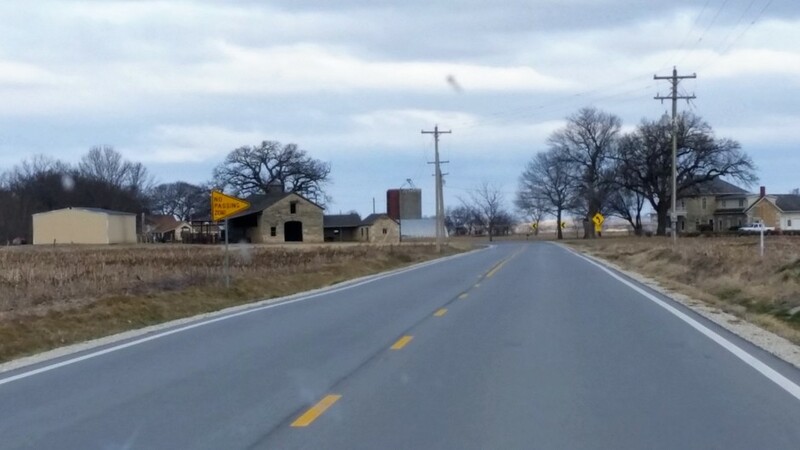 From there you'll want to see Kansas from the road stopping in places that look interesting. I'm hoping to help you there also. Now then. In my "real" job I clean ice machines. Sounds exciting doesn't it? The best part of my job is that I get to travel around a lot and I get to see a lot of scenery. Sometimes this scenery sparks a story idea, sometimes those ideas turn into flames and I have stories on the back burner revolving around them, sometimes those sparks die out but I still appreciate what I've scene and I have a few places I love seeing when I'm driving in my work truck. These are a few of those sites. 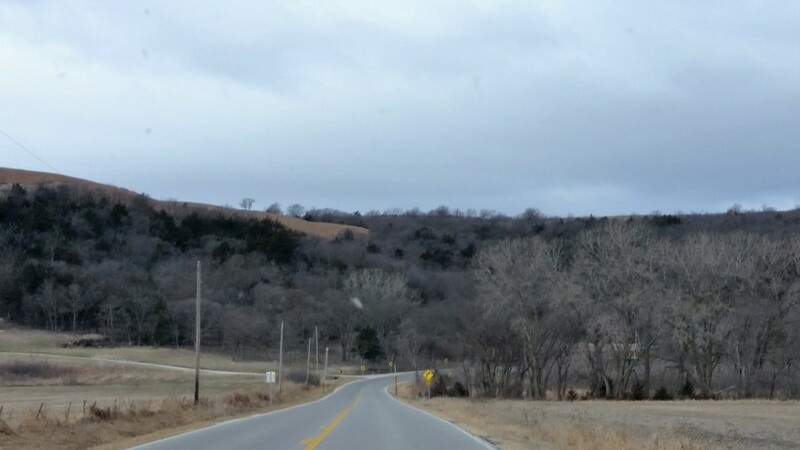 Most of these were pictures were taken on highway 18 between Wamego and Manhattan Kansas. This is one of my favorite roads and I love taking it when I've been sent to Manhattan to work on a machine. Disclaimer: These pictures were not taken from my work truck, and in most cases I was parked on the side of the road. No I didn't get out of my vehicle because that would be crazy as you'll see. 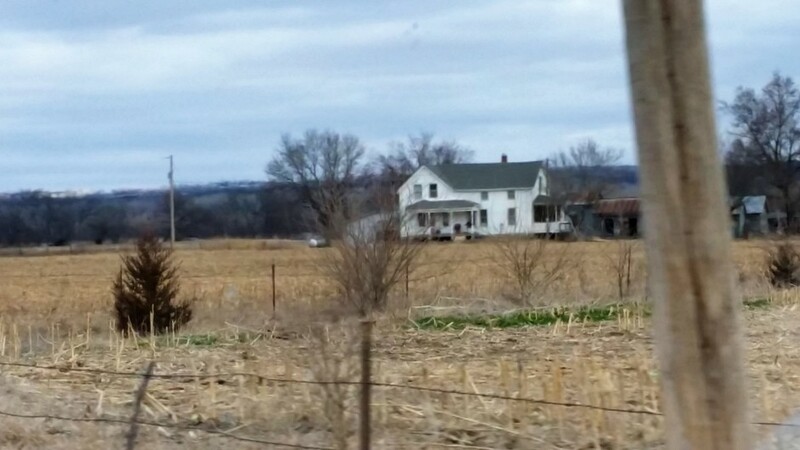 I like old farm scenes, specifically I like run down farmhouses, barns, and grain silos. For me, this picture is awesome. So what does this have to do with writing. Well this place didn't spark anything for me really, however if you like post apocalyptic stories this could be an interesting setting. 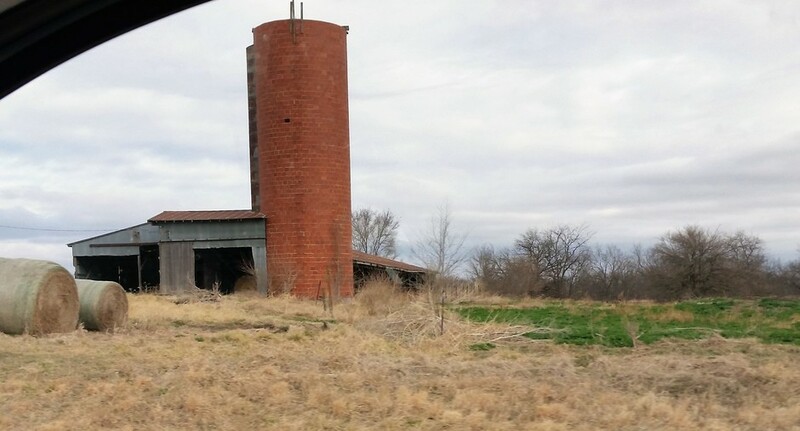 If you use your imagination a little bit you can almost see zombies shambling around the building, maybe someone with a rifle on top of the silo taking shots trying to defend it. Or maybe just inside the doors there are mounds of dirt where bodies have recently been buried. How can you not love an old stone building with an old truck parked beside it? I love this building and I have no idea what it was originally used for. If I was forced to guess I would say a church or a school house maybe a jail. If I was writing about it I can almost promise it would be the home of some old hermit. My imaginations tends to run towards the horror or fantasy side of things so maybe the hermit is a killer, maybe he's a wizard, maybe when you walk through the door you are transported to a much large building that existed in the past... or future. Anything is possible. Again an old farmhouse. Isn't it picturesque? I don't know why but whenever I see this picture I think of vampires, maybe a Midwest version of "Salem's Lot." I can also see a romance taking place here in the vein of "The Notebook". You can literally do anything at all with an old farmhouse. H.P. Lovecraft was a big fan of writing about old houses in the middle of nowhere and madness creeping in on the inhabitants. Now this is just awesome. You might be wondering what house, you can see the outline in the center of the picture. Think of the history this old run down place must have seen, the land is being reclaimed by nature obviously but imagine what could live here. A cryptid like the Jersey Devil, a gnarled old witch, a creeping horror from the depths of Poe's nightmares. The possibilities are endless. Now in this scene you will see a couple of stone buildings on the left and an old stone house on the right. I imagine the road didn't originally flow through here and the buildings were part of the same homestead but I don't know for sure. What I do know is that in this picture you will see why I said it would be crazy to get out of my vehicle to snap this picture. Yeah there isn't much traffic but there isn't much room to be stopping the traffic either. What do I see when I look at this. I see an old money family down to the last bit of their fortune, their estate and family has fallen into disrepair but they're holding on with everything they have. Now this is a small town. Literally if you bling you'll miss it. 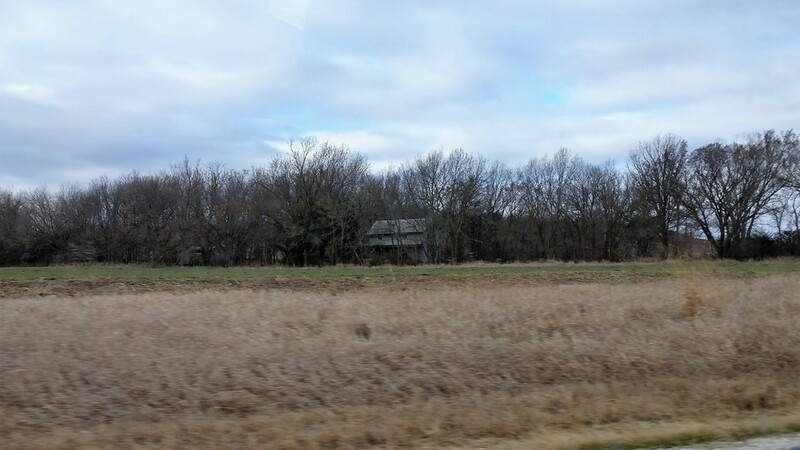 To me, this town is crying out for a horror story, maybe an alien invasion story, either way I love places like this and Kansas is full of them. I love this part of the road and it always makes me wish I had a motorcycle. 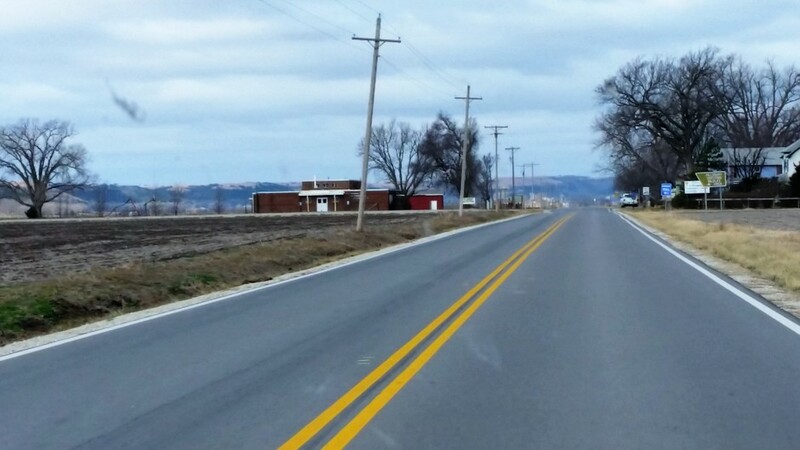 No stories inspired here, I just wanted to prove that contrary to popular opinion, Kansas is not totally flat. There you have it, just a few of my favorite spots along this road. Now let me give you some travel tips. I mentioned Wamego and Manhattan. I recommend visiting both places on your road trip through Kansas. Manhattan, home of K-State. This is a college town so you'll find plenty of bars especially in a section called Aggieville. You'll also find awesome coffee shops like Radina's, and Bluestem Bistro, a wonderful used book store called The Dusty Bookshelf, and some pretty good places to eat as well. Wamego. This is a small town but damn is it cool. You can visit the "Wizard of Oz" museum, I highly recommend it if you're a fan of the movie and/or book. Personally, I'm not a fan, being from Kansas I get tired of all the jokes about Toto and Dorothy but still if it's your thing then you must visit. You can also see Dorothy's house, complete with witch legs sticking out, an old Dutch windmill, The Columbian Theater, eat at Toto's tacos, Rambler's Steakhouse, or my personal favorite Friendship House. The people here are pretty friendly and it's just a cool little town all around. So if you're a writer, come to Kansas, drive around and see what you can find. You'll be surprised where inspiration strikes you. I plan on continuing this series as I get more pictures, those are the hard part. I see these places throughout the week while I'm working but I don't go get pictures until the weekend when I have time to kill. Unfortunately, I don't always have that time to kill. If you have any questions or anywhere you'd like to see let me know and I'll see if I can get pictures and talk about it. Like any writer, I'd love to hear your feedback also. I hope some of these pictures inspire you the way they do me.